Google has a lot to answer for when it comes to Millennials, according to QUT giving researchers Wendy Scaife and Marie Balczun. 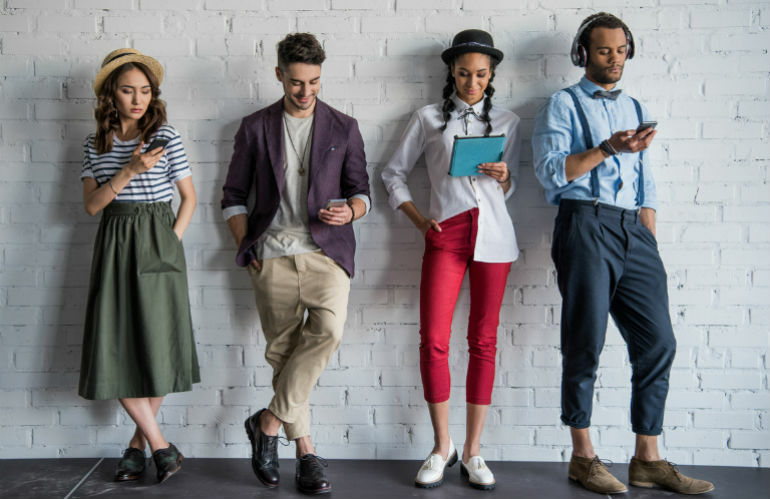 “When searching ‘Generation Y are’, Google’s automatic drop-down list suggests ‘spoiled’ ‘selfish’ and ‘lazy’ – and those are some of the kinder adjectives used!” Professor Wendy Scaife, director of the Australian Centre for Philanthropy and Nonprofit Studies (ACPNS) said. “But is Google’s regurgitation of popular opinion accurate? Mercifully, it is not,” Scaife said. As ACPNS researcher (and Millennial) Marie Balczun explained, statistics from Australia’s largest ever exploration of philanthropic behaviours, Giving Australia 2016* confirm millennials are very engaged not-for-profit contributors. “Nearly 75 per cent of Australian Millennials reported giving money or time to a cause close to their heart in 2016,” Balczun said. The study bears out that Millennials have a social conscience – and what’s more, they want an employer who shares their ideals. According to the 2016 Census, Millennials make up nearly 35 per cent of the Australian workforce. In the USA, the Millennial Impact Report found that more than half of Millennials were influenced to join a company when they heard about the organisation’s cause work in the interview. Australian businesses are giving more to charities than ever before ($17.5B in 2016), and Millennial views present an unparalleled opportunity for employers and not-for-profit organisations alike. Balczun suggested that rather than merely asserting a “charitable spirit”, this evidence-based trend towards businesses partnering with not for profits to create positive social impact will accelerate – in part driven by the attitudes and expectations of Millennials. Not for profits are urged to work now on engaging Millennials. “They are literally the leaders of tomorrow and nonprofits need to rethink and redouble the ways they engage and connect with them on a meaningful level now if they want their influence, support and contribution in the years ahead. Giving Australia 2016 research with nonprofits suggested they were not currently doing this,” Scaife said. In a further decade, Millennials will hold a significant portion of leadership and board positions, giving them command of not only their own deeper pockets, but that of the corporations they represent, and perhaps even more importantly, the attentive ears of their peers and subordinates. Millennials are also shifting the way giving is done. “Giving Australia 2016 confirmed technology and social media are central to Millennial giving practices. It is how they find out about initiatives, undertake their research, participate and monitor their contributions,” Balczun said. She said around 40 per cent of Millennials are actively examining an organisation’s website prior to making a donation. “There is a concerning disconnect however, with only half of charities surveyed in Giving Australia 2016 having a mobile-optimised website and only 36 per cent allowing people to donate via their organisation’s website,” she said. Millennials are also very discerning and they want to see the impact of their donation. “They are more outcomes oriented than preceding generations and expect to see results for their contribution. Organisations need to understand that Millennials are loyal to a cause, not an organisation. “If your organisation is not fulfilling their feedback needs, they will not hesitate to switch giving to one that is,” Balczun said. Millennials are also the most highly educated generation so far, with nearly half of 18-34 year-olds surveyed in Giving Australia 2016 having a bachelor’s degree or higher (compared with 38.6 per cent of non-Millennials). More are taking up formal study in philanthropy and not-for-profit studies too. “We have hundreds of students from across Australia and New Zealand who have completed philanthropy and nonprofit post-graduate qualifications to better serve the sector and grow their career,” Balczun said. “Alongside the older nonprofit leaders, fundraisers and philanthropists we are seeing a lot more Millennials too who are in or wanting to get into a nonprofit career or be a better philanthropist or board member. Scholarships are helping them study. They definitely bring a new dimension to our classes and discussions and their social conscience is large,” Scaife said. 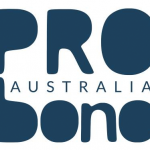 Giving Australia 2016 reports and fact sheets are freely available via the Prime Minister’s Community Business Partnership research projects website. *Giving Australia was commissioned by the Department of Social Services as an initiative of the Prime Minister’s Community Business Partnership. It was led by the Australian Centre for Philanthropy and Nonprofit Studies (ACPNS) at QUT with the Centre for Social Impact at Swinburne University of Technology and the Centre for Corporate Public Affairs. QUT’s Australian Centre for Philanthropy and Nonprofit Studies has been offering business courses in philanthropy and nonprofit studies longer than any other university in Australia and is recognised as an education leader both here and overseas. Students can attend from anywhere they are in Australia and New Zealand and the Centre offers six-week units, meaning students can cover a greater breadth of topics in a shorter period of time. Find out more about ACPNS courses and scholarships.